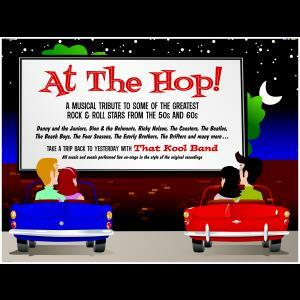 At the Hop is a totally live 1950s Rock & Roll show. Take a musical journey back to an era of music that we all remember so warmly. All the vocals and orchestrations have been carefully re-created in the style of the original recordings by That Kool Band, Arizona's premier musical group. 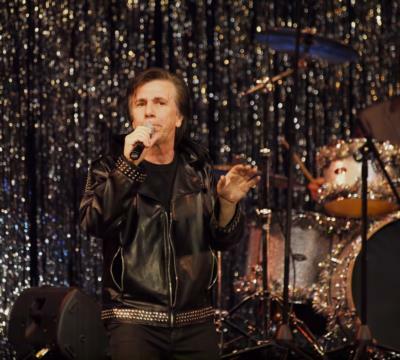 The show is fronted by vocal impersonator Eddie Diamond. 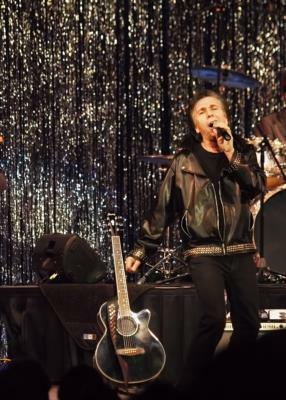 Eddie's vocal style will give you the feeling that you are listening to your favorite rock & roll star performing live on stage. One and two hour shows are available. The show is head quartered in beautiful Scottsdale Arizona but Eddie and the band perform in all of the western states. Please note At the Hop 1950s show will also travel to Fountain Hill, Apache Junction, Mesa, Tempe, Queen Creek, Chandler Heights, Chandler, Higley, Gilbert, Tortilla Flat, Carefree, Bapchule, Sacaton, Sun Lakes, Fort Mcdowell, Florence, Coolidge, Superior, Phoenix, Paradise Valley, Rio Verde, Casa Grande, Glendale, Peoria, Laveen, Sun City, Cashion, Eloy, Miami, Maricopa.